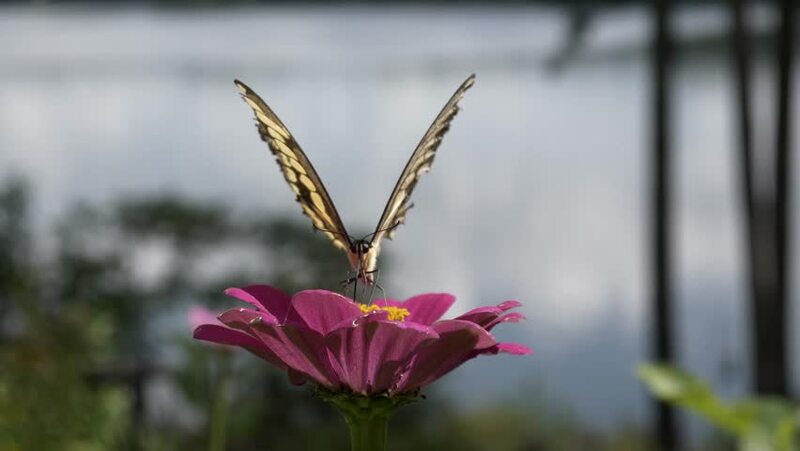 Giant swallowtail butterfly by the lake getting nectar from a zinnia flower. hd00:18Macro theme: butterfly Painted Lady (Cynthia (Vanessa) cardui). hd00:21Close up blooming lotus or water lilly with sunny in the morning in the pond on blurred space of green leaves and bokeh from sunlight.